According to the CMO Council it is estimated that in 2015, 14% of B2B marketing budgets will be spent on in-person trade shows, conferences and events. With such a substantial portion of budgets being focused on events and research showing that events are the second most effective method of generating leads and driving brand awareness it is important that you get it right. Increase the lifespan of your event - All too often an event is seen as a disposable commodity. Introducing an events app allows you to engage with attendees long before and after the actual event. 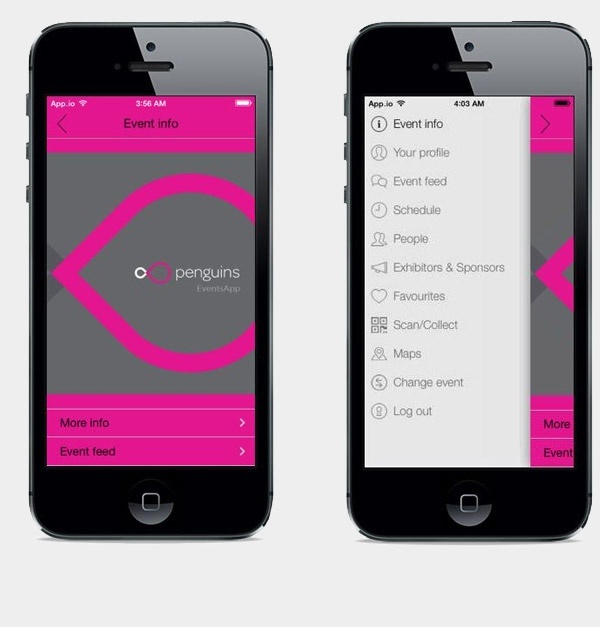 Increased interaction - An event app allows attendee interaction from the very outset. From planning and scheduling their time spent at the event to networking with other attendees and much more. Getting personal - event apps deliver the personal touch to each attendee. Providing schedules, seating plans, travel arrangements and much more. Connecting your brand and event directly with the needs of your attendees can never be bad. Branding and sponsorship - attendees now have your logo and information on the home screen of their phone / tablet, effectively with them all the time. As well as increasing your own brand awareness there is the opportunity to increase revenues through sponsorship and advertising on the app. Real time content - deliver updates and key messages directly to your attendees phones, ensures messages are seen without being intrusive. Feedback - Simple surveys pre and post event can help you to make sure that the event meets attendee's expectations and provides you with the feedback needed to improve for future events. Go green - an event app really improves your green credentials by reducing the requirement for printed materials, it's not bad for your budget either. For further insight into how you can improve your next event with an event app - download our white paper.